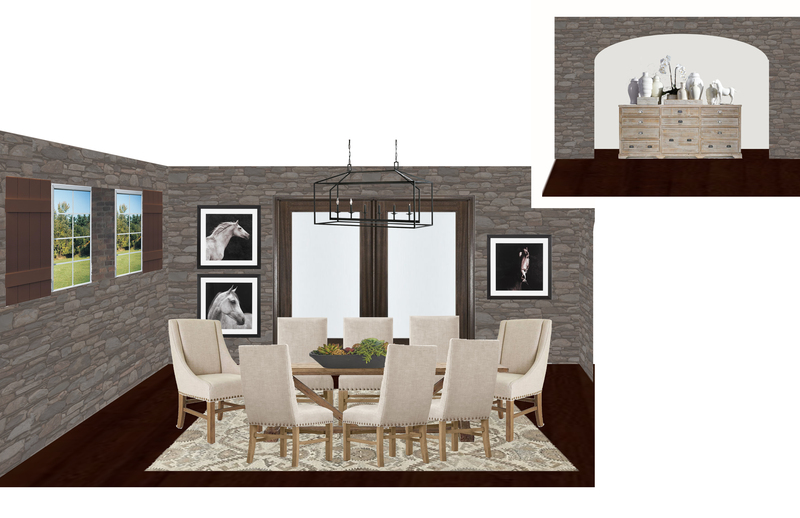 Here is another recent room design from Interior Design Service Online– a peek at a virtual interior designer at work! Our client requested a sophisticated yet comfortable dining room for her California ranch property. The stone walls are the inherent focal point of the room so the goal was to incorporate textural elements with very subtle pattern to add interest without completing with the gorgeous stone. Rustic wood and an amazing oversized chandelier mix beautifully together for an updated ranch feel.